It can be difficult initially sourcing hens but they can be bought from breeders, local keepers and farms. You need to know what to look for when choosing a hen. Some of these things can be found out by asking the breeder/keeper. Local trading papers often have livestock and pet sections so have a browse through there to see if there are any hens for sale. Also your local newspaper may have some private ads for chickens for sale. Ask neighbours and friends if they know of anyone who keep chickens. Go online to see if there are local breeders for you to go and visit. 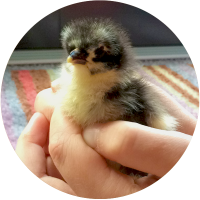 Visit the Battery Hen Welfare Trust (BHWT) website to see if there are any rescue chickens that need a good home. So Many Breeds, What Should You Choose? 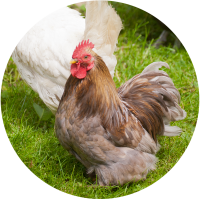 It depends on what you want out of your hens, whether it’s a fresh supply of eggs, a pet or show bird, or for meat, different breeds are ideal for certain things. Many breeds are known for their docility or for their beauty or unusual appearance. Possibly the most ideal chickens for this criteria would be of the bantam variety. Bantams are the miniture version of the larger breeds. They’re also suited in areas where there is not a lot of room. 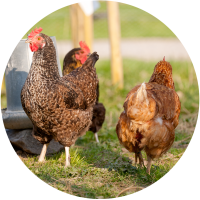 You need to make sure that your supplier can prove that the hens have had the necessary vaccinations against Mareks, Newcastle, Infectious Laryngotracheitis, Fowl Pox and Mycoplasmosis etc. Usually proof is in the form of a certificate. Check the hen is alert, bright eyed, tail up, has a clean bottom and no discharge from its nose or beak. Check the legs and feet to make sure the scales are smooth and the legs are strong. Before you leave to collect your hens ensure the coop is ready and the feeders and drinkers are out and full. If you don’t have a special pet carrier a cardboard box will suffice but ensure there’s enough breathing holes in place and that the bottom is reinforced. You don’t want the box to be too big that there’s lots of room for the hen/s to move during the trip nor too small that they are cramped. 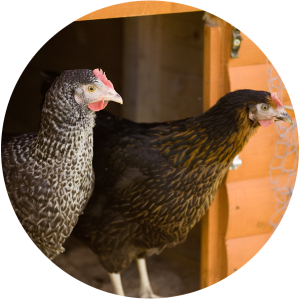 Release your hens into the closed coop and it’s recommended you leave them inside the coop for a couple of hours to allow them to settle. Make sure during this time though that they have access to food and water. After this time, you can open the door and allow them access to their run. It’s highly unlikely that they’ll trot out and begin pecking away immediately, they usually stay in the coop and may do for a couple of days till they become more settled and confident with their new surroundings. Don’t force them out, just allow them to explore at their own free will.